**Rates effective October 1, 2018. Each booking is from the top of the hour until 55 minutes past the hour. When the buzzer sounds at 55 minutes past the hour, you have 5 minutes to be completely cleared from the field. For every minute past the hour, you will be charged $25.00. The clock in the dome is the official time. 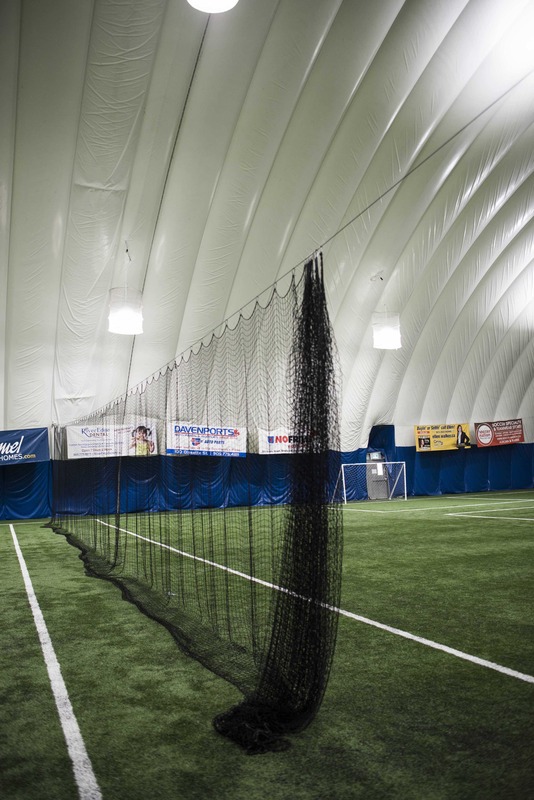 The Bradford Sports Dome is the perfect facility for your next tournament or sporting event! 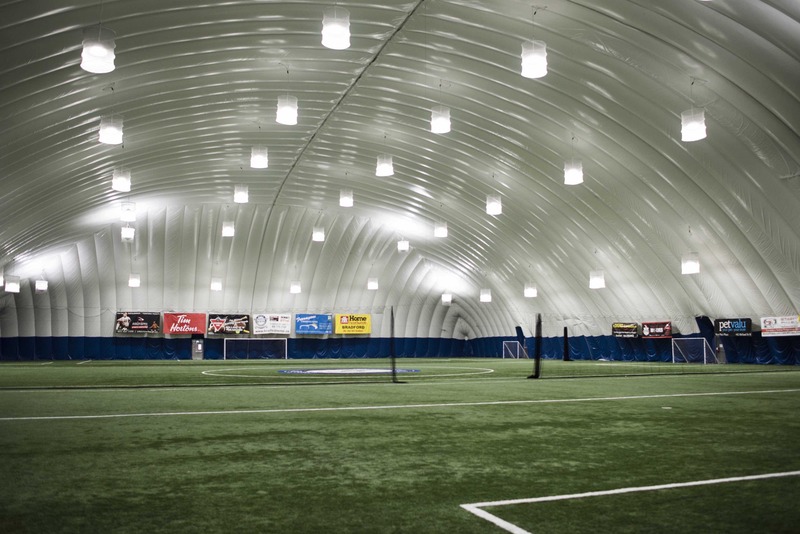 The Dome is an air supported structure measuring 200×300 feet, with an Infill Turf playing surface that provides incredible comfort for all field sport activities. The Dome is available for Children’s Birthday Parties, Corporate Health and Wellness Days, and a host of both sporting and non-sporting events. Our Staff enjoy the challenge of making your day special. Call us today, or better yet come and visit for a first hand look at this incredible facility. Inside the Dome is Divided into Three 90′ x 180′ Fields. You May Rent One, Two, or Three Fields Depending on Your Needs. See below for pricing details. 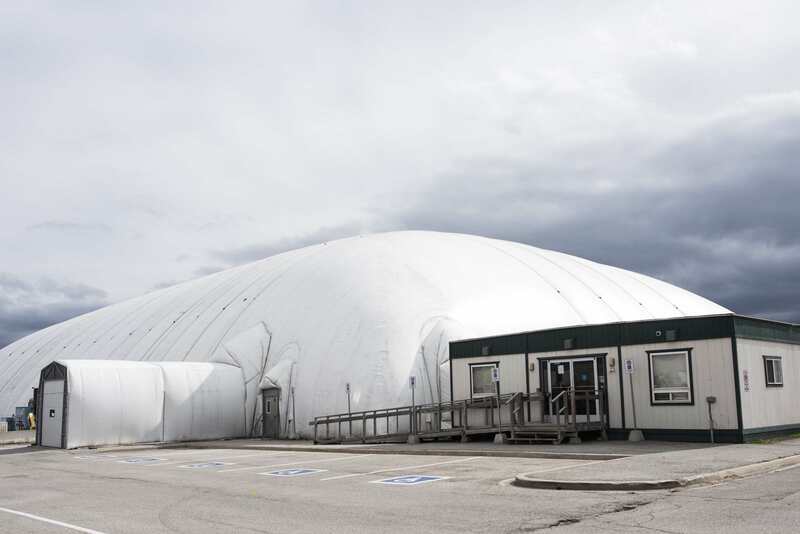 Rent the Bradford Sports Dome.